A silver lining of the recession is it gave a few savvy people the push they needed to become entrepreneurs. Whether it was starting their own SEO boutique or monetizing their blog, when the old career turned out to be less stable than going it solo, it seemed the perfect time to take the leap. You’ve probably heard you can make money blogging, but it’s not quite as easy as that. There are, of course, great success stories of bloggers becoming serious entrepreneurs seemingly overnight, such as Perez Hilton. However, really successful bloggers aren’t usually household names and they know more about the monetization side of things than how much weight Kim Kardashian has packed on. If you really want to turn your hobby into a serious career, there are a few things you need to know. Many people who consider themselves bloggers think blogging for a living sounds romantic. You take a few snapshots, wax poetic about your trip to Colombia and dutifully reply to all of those comments that flood in. That’s not the reality, because while this may happen, that doesn’t bring in the money. A monetized blog is carefully selected, rich with search engine optimization and might even be automating itself. SEO PA boutiques are flooded with requests from bloggers who don’t understand why nobody is commenting, why traffic is low and who want an easy fix for their well-meaning but ultimately horrendous SEO mistakes. For many successful bloggers, they’re not writing about their passions. They’ve chosen a niche market that’s lucrative, have researched proper ad placements, track their results daily and might even count on spinning software to do the writing. Making a living as a blogger is definitely feasible, but it’s still hard work and it’s nearly guaranteed you won’t make any money the first few weeks or months. Here’s the catch 22: successful blogging is truly a full-time job. 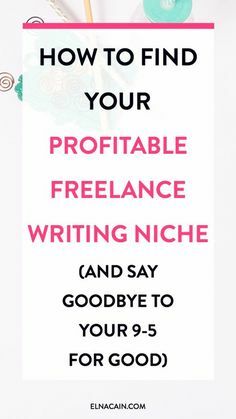 You’ll find yourself working on the blog nonstop, but since no money is coming in — yet — you also need to carry another job to boot. Suddenly the idea of typing up your latest adventure and watching your bank account balloon seems like a pipe dream. The reality is that blogging is one of two things: either a hobby or a business, and switching from the former to the latter is a challenge. It’s also stressful and there’s no promise it will be successful. While it’s a great boon to be a fantastic writer, you also need to know how to analyze data, understand the basics of SEO and have a firm grasp on the market’s trends. If you’re up for the challenge, you may be able to garner a living from your blogs, but not without a few missteps along the way.